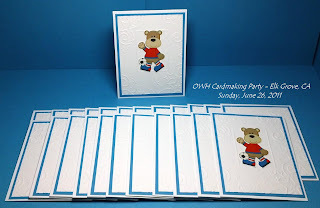 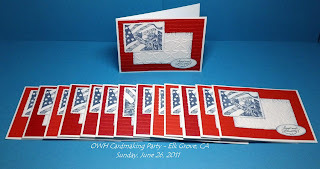 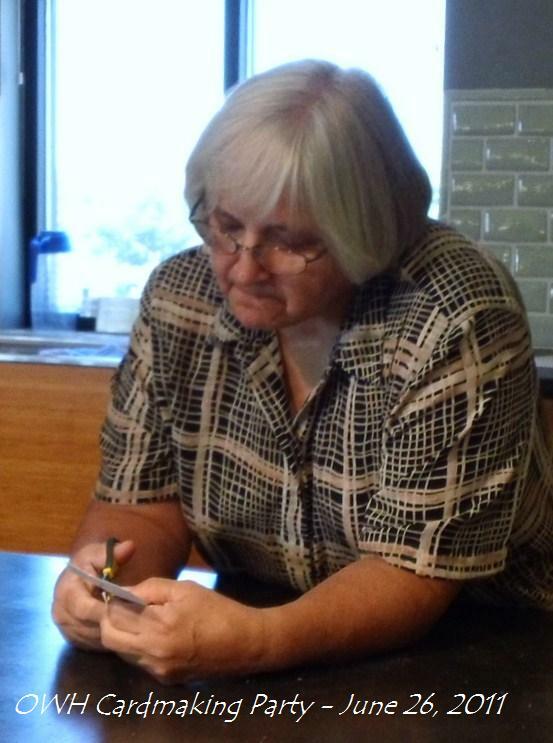 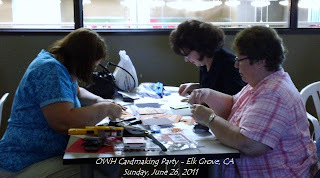 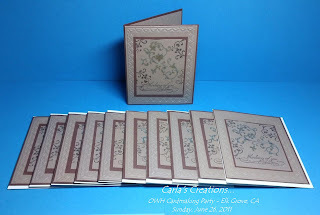 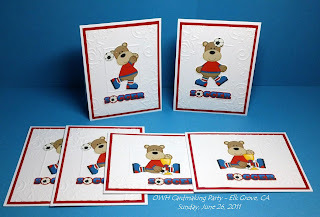 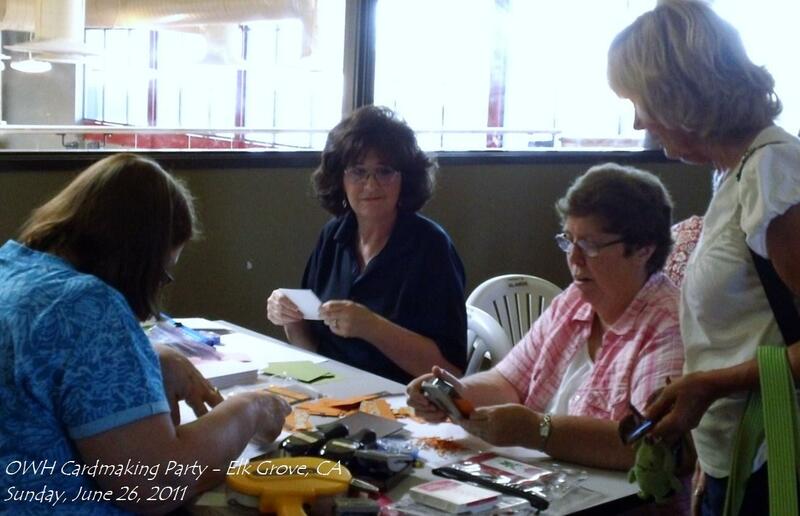 Thanks to Kathy, Janet (from Orangevale), Sandra, Caro Lou, Karen, Allison, Susan D., Connie, Diana, Gerry, Kathie (from Folsom), Shannon, Carla, Beckie (from Stockton) and Maria for coming to the OWH Cardmaking Party today and contributing their time and efforts. We shared ideas and enjoyed our gathering. I am so thankful for having this wonderful group of ladies through the OWH Cardmaking Parties. 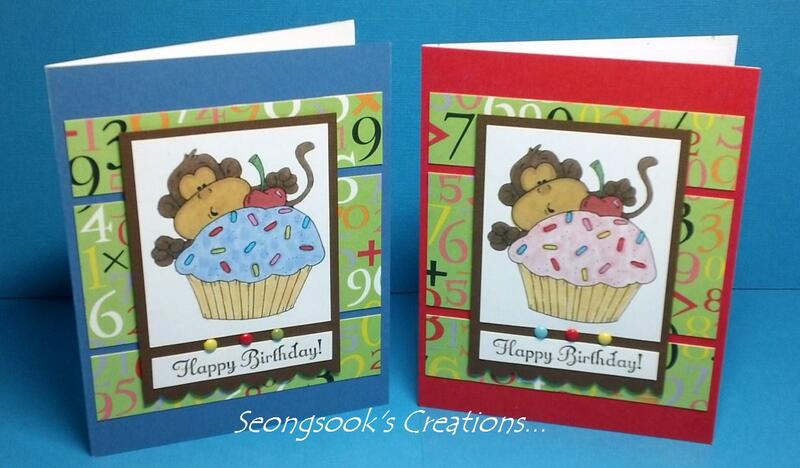 Here are all the cards that we made today. 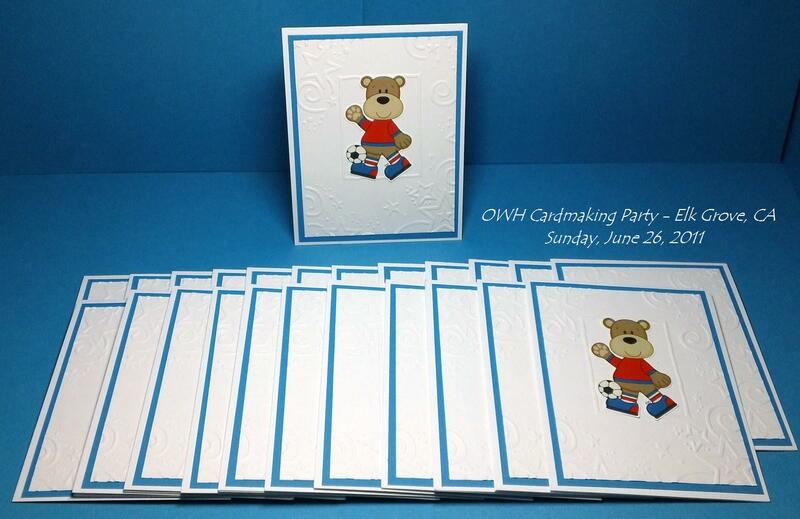 We made 245 cards. 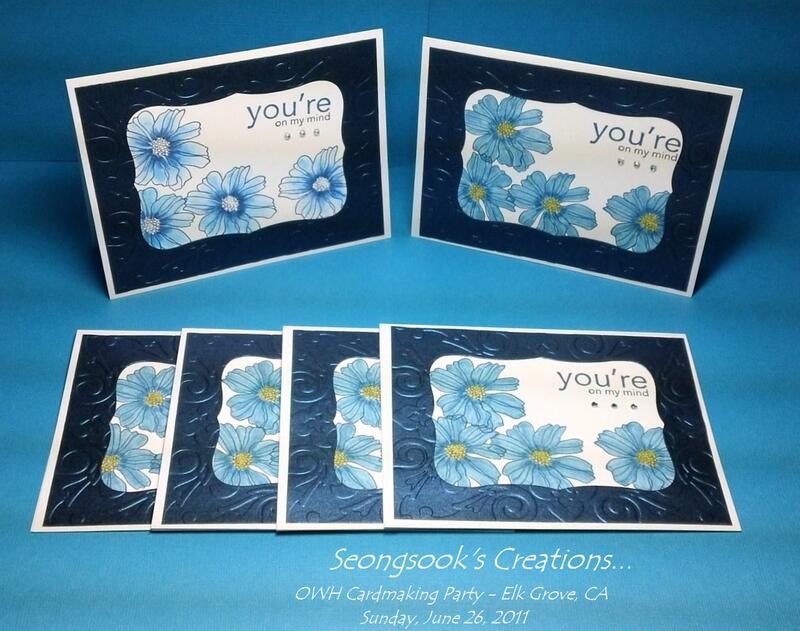 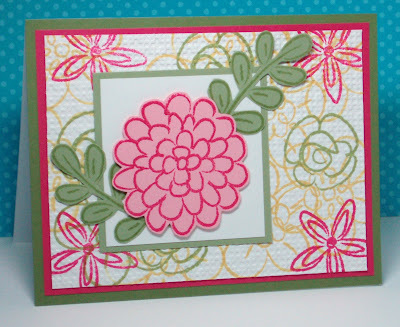 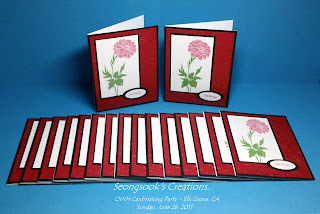 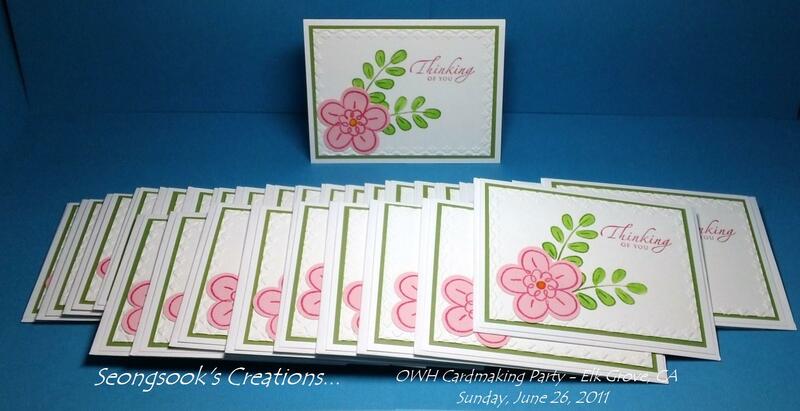 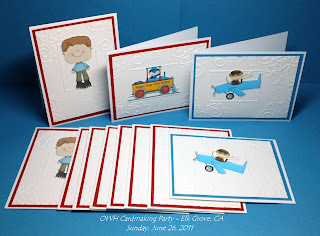 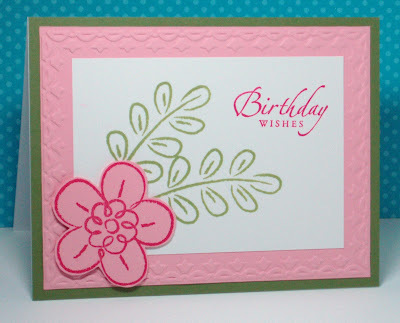 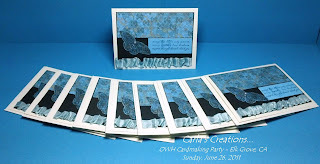 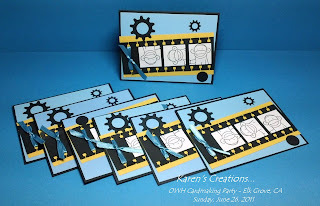 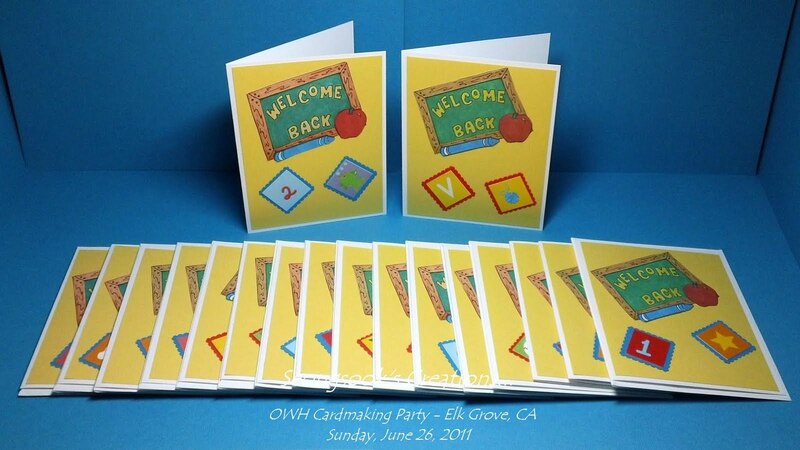 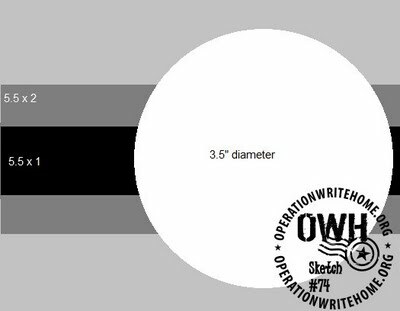 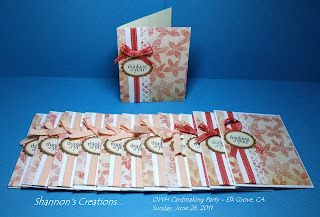 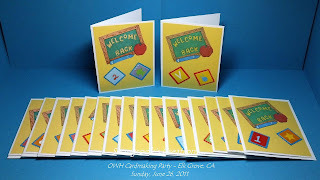 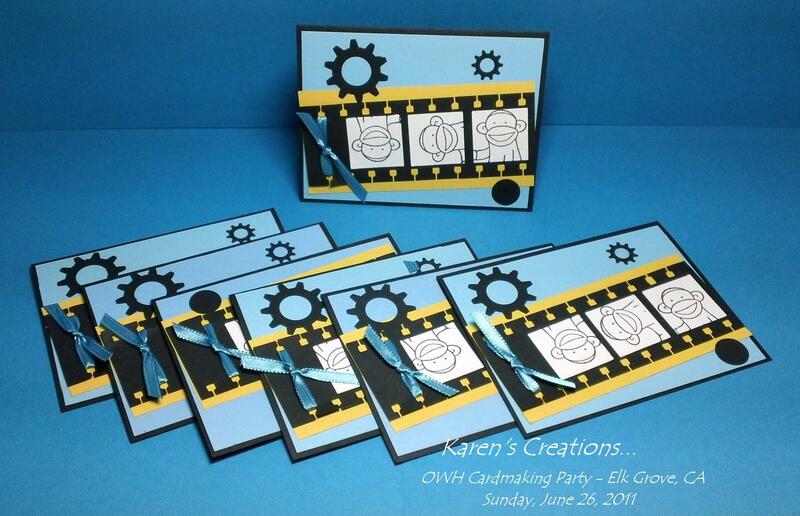 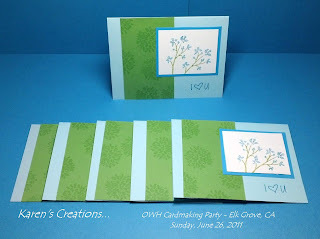 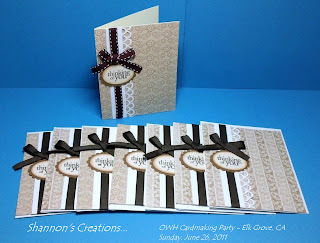 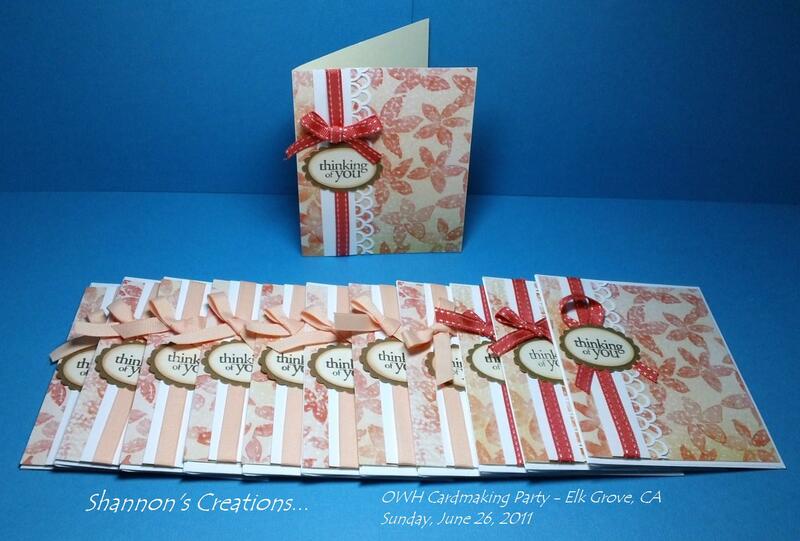 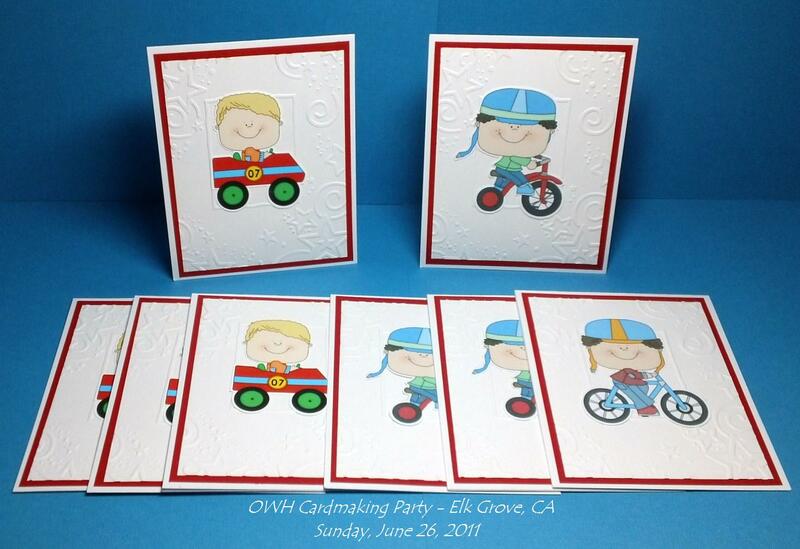 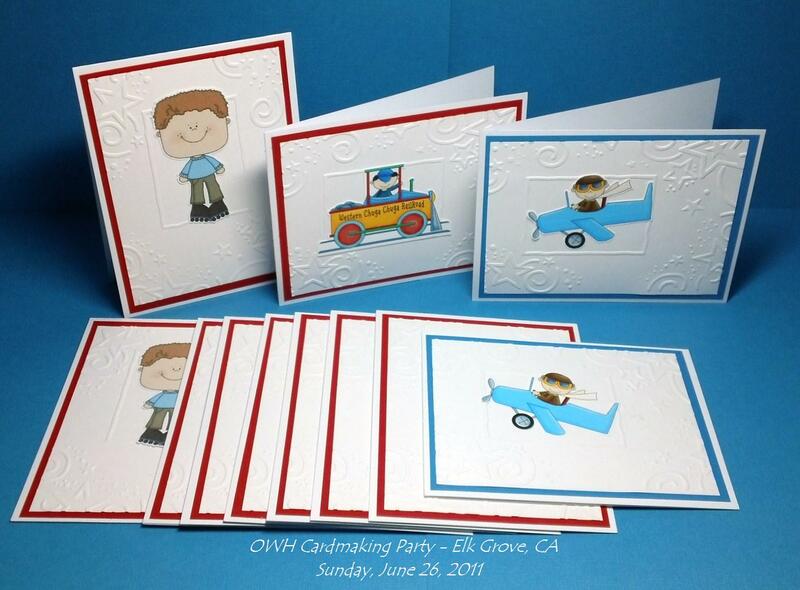 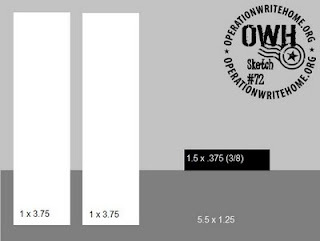 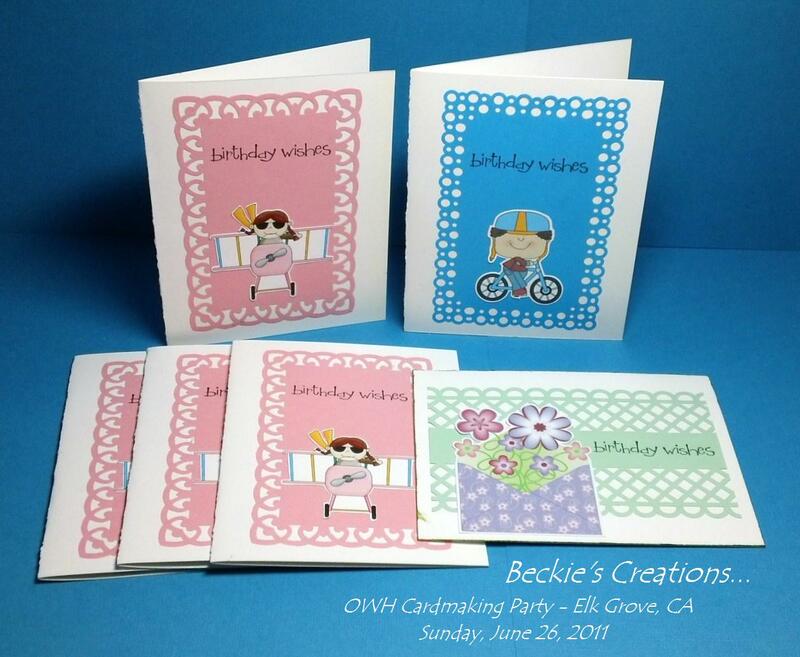 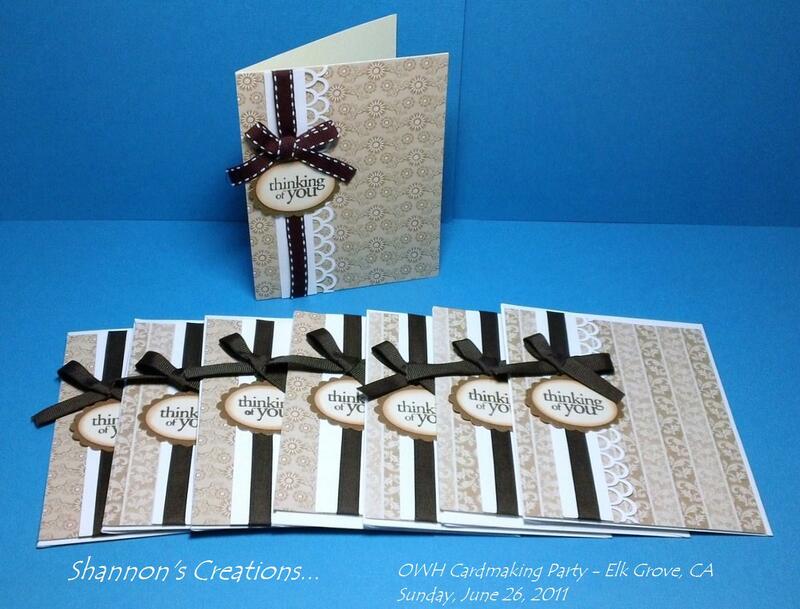 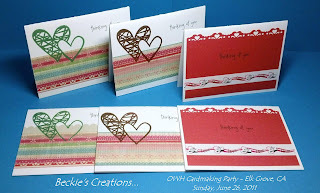 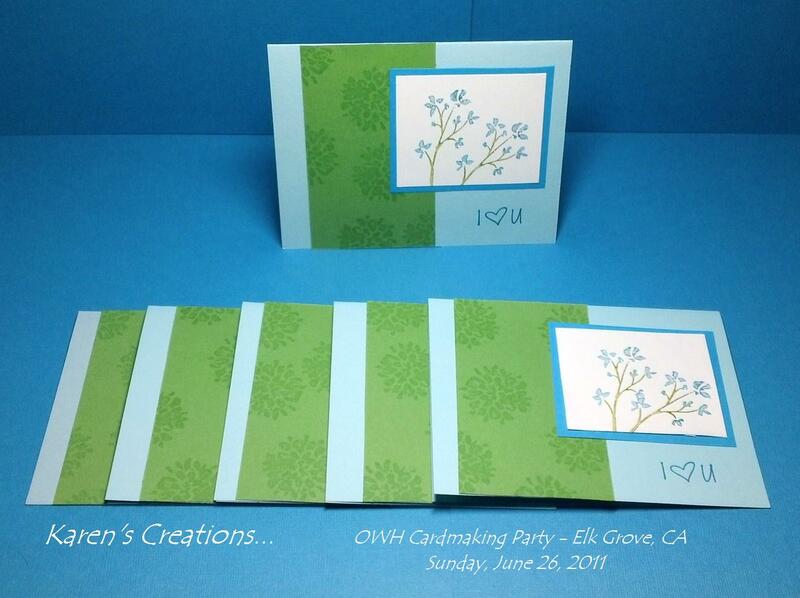 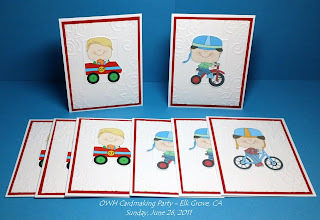 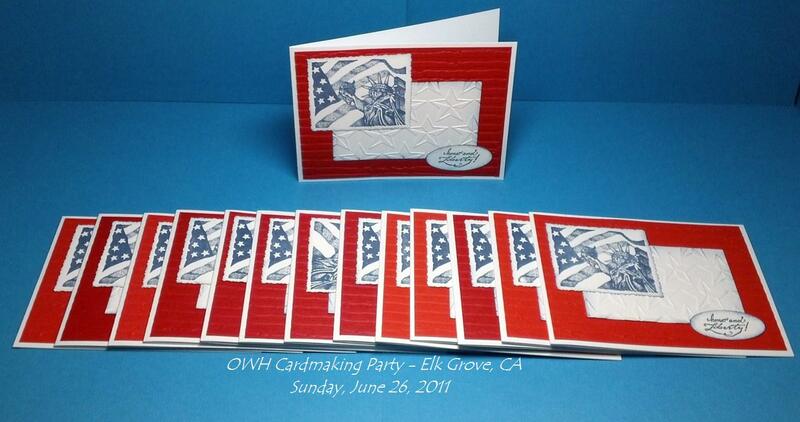 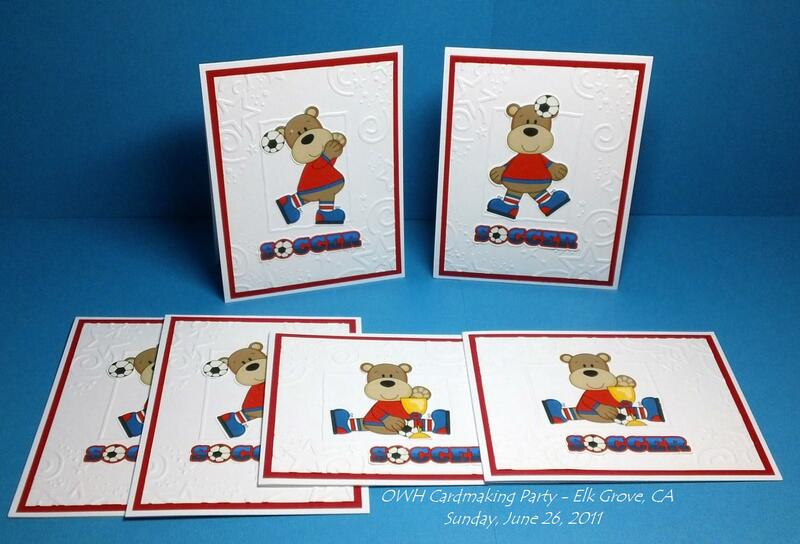 Next OWH Cardmaking Party is on Sunday, July 10, 2011. 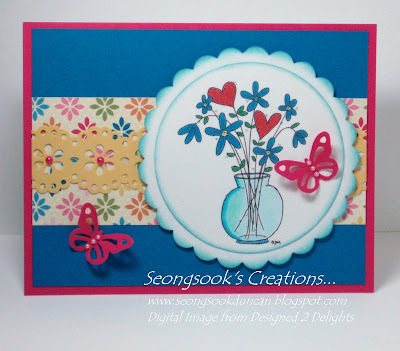 Digital Image from Designed 2 Delights for Friday Freebie Challenge at Delightful Inspiration. 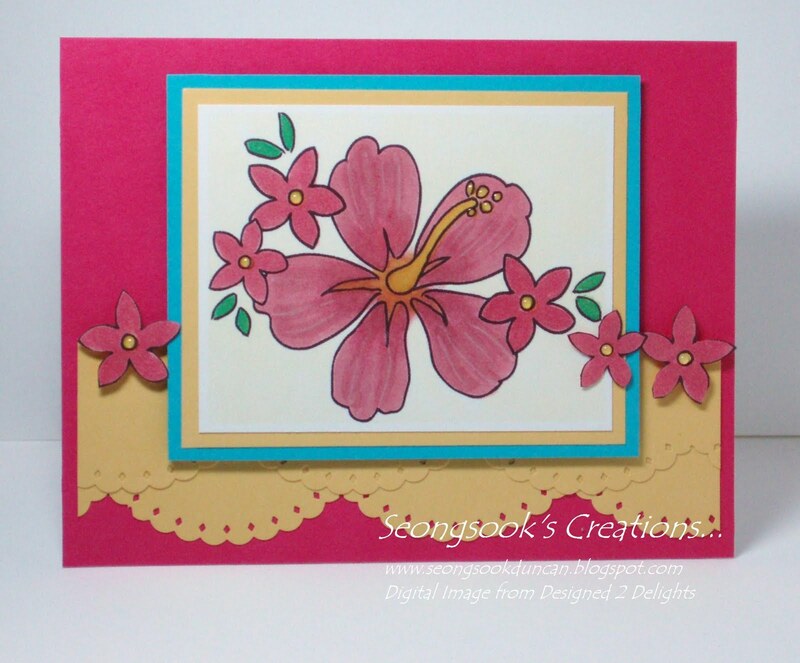 I am happy with how this card turned out. 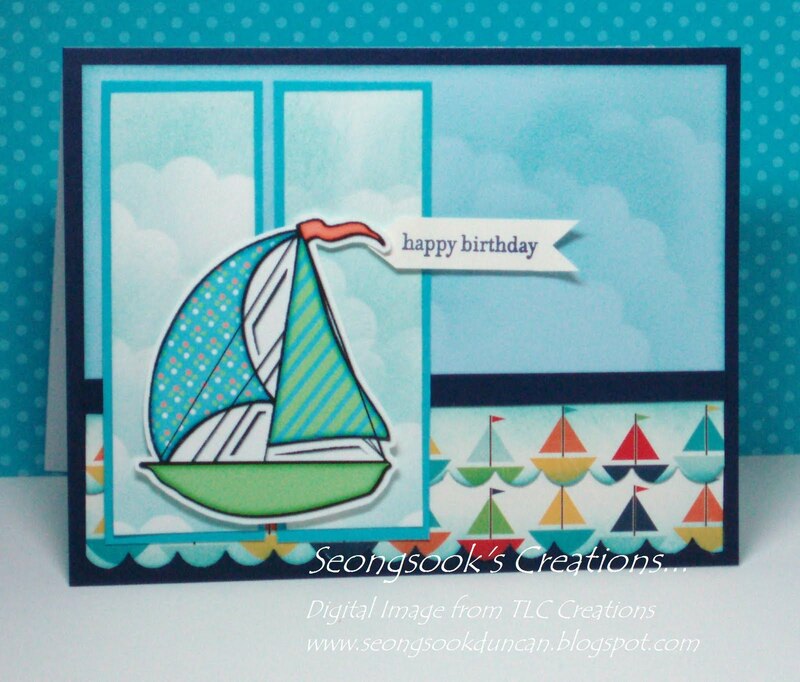 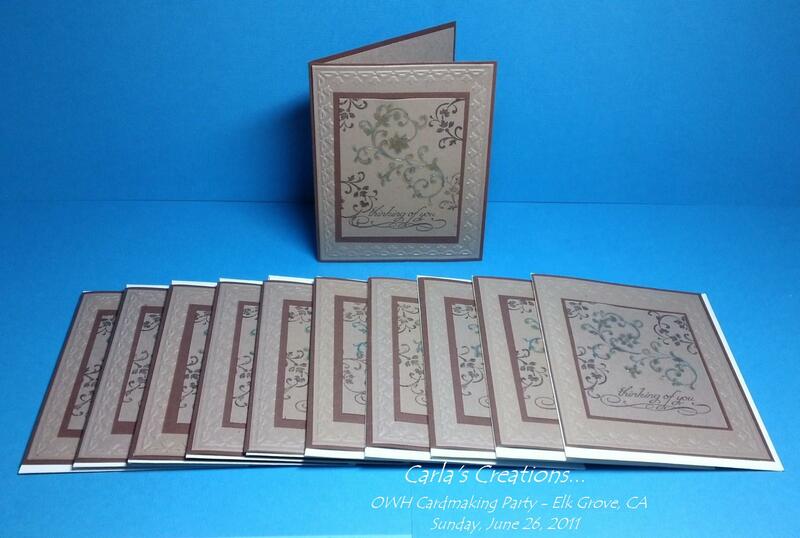 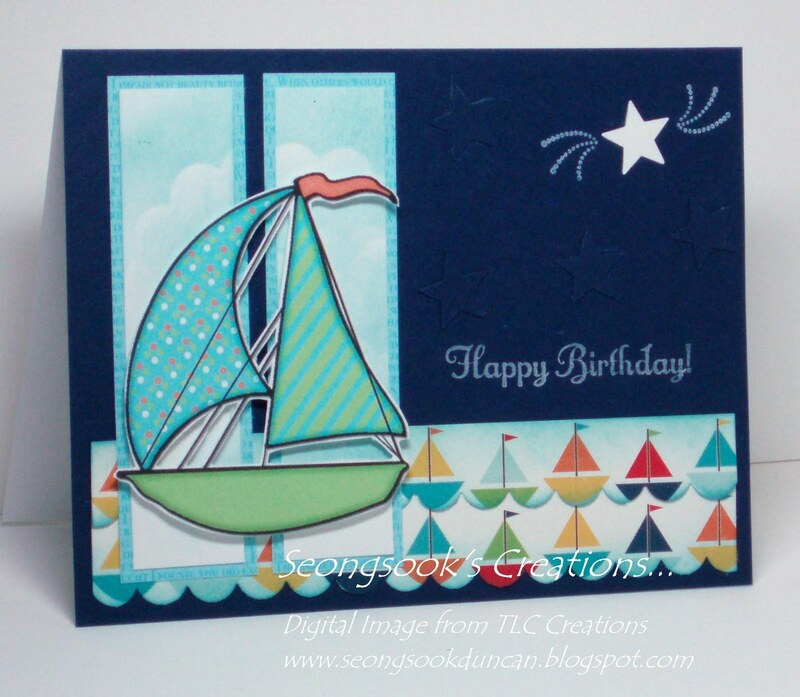 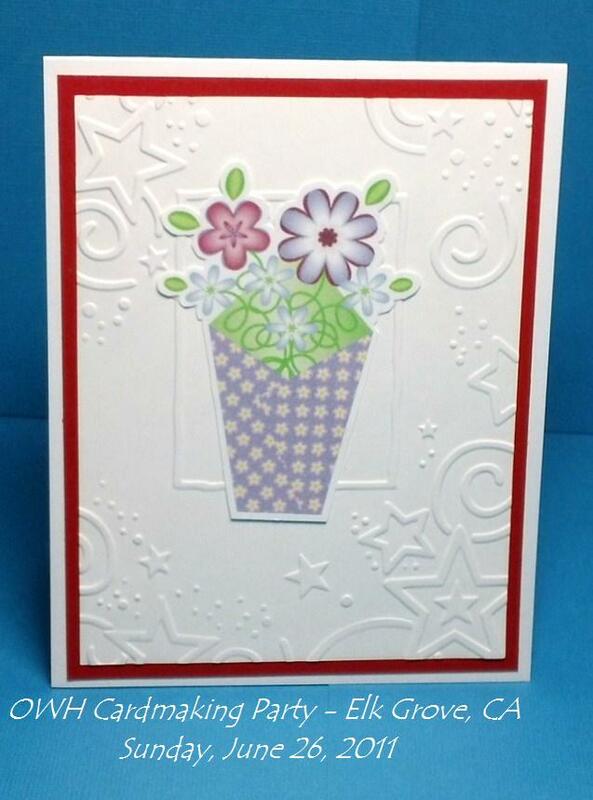 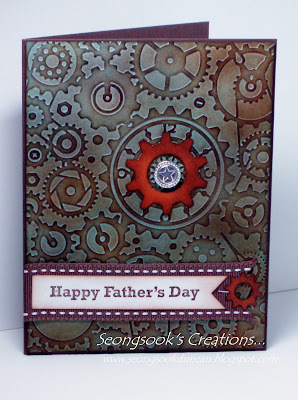 I embossed the Baja Breeze cardstock with Clockworks embossing folder. 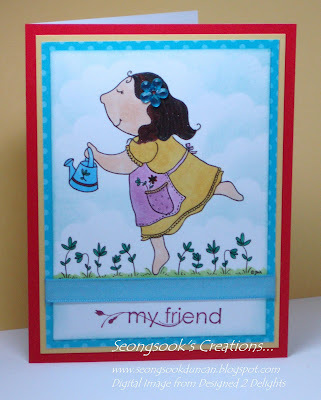 I sponged the raised surface with Choco Chip ink, Pumpin Pie ink and then Choco Chip ink again until the color came out that I liked. Cool! 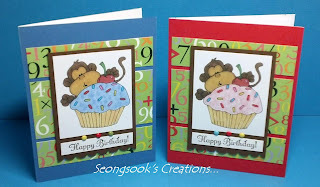 Digital Image is from Designed 2 Delights. Sentiment stamp is from Stampin' Up!. 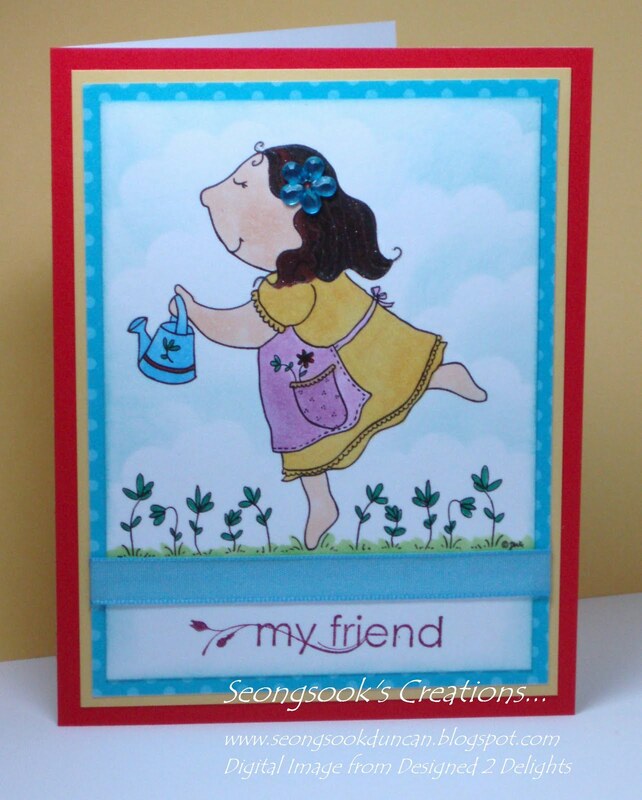 Pieced the frame, crayon and apple. since it was for the Thanksgiving card challenge although this card can be for anytime. 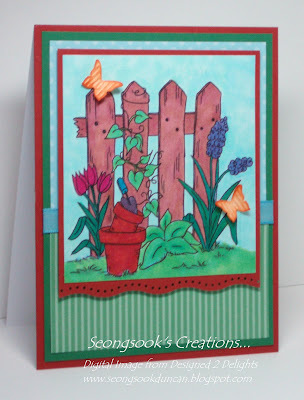 Digital Image - "Spring Fence" from Designed 2 Delights. 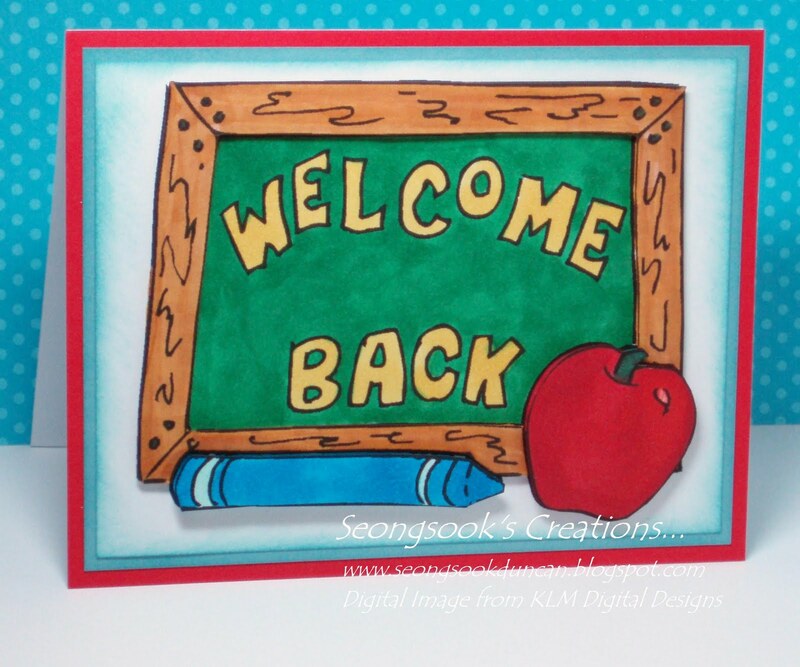 Colored the image with Copic markers. 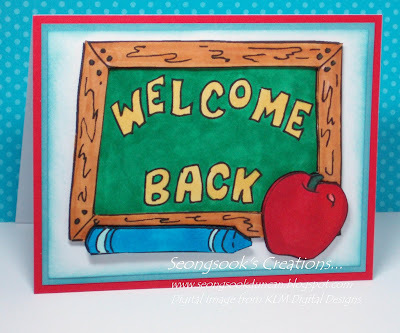 I didn't add a sentiment yet.